Now as most of you know something like this takes a whole lot of support. I wouldn't be able to even consider starting this challenge if my wife wasn't on board and fully supportive. She has been so understanding and shown an interest in my training and in choosing what events to do. I couldn't do it without her and I thank her daily. I think family and friends are the key to both moral and physical support. Without that it's practically impossible to get of the sofa. The kids are too young to really show support but obviously they are keen to see their old man do well. Especially when I've told them ill enter the local Schools Fun Run next year, which my eldest now thinks ill win!! 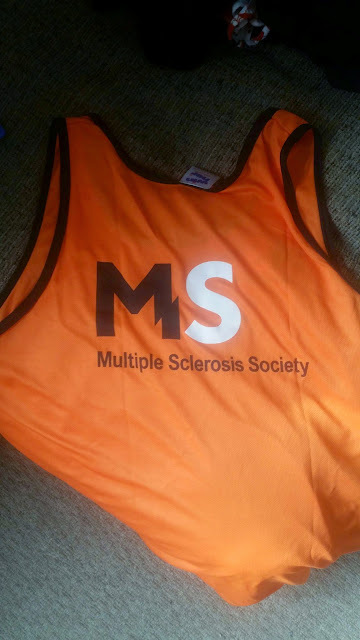 As you know this is a challenge to raise money for charity and already I've managed to raise over £200 for my chosen charity the MS Society. All raised from family and friends both locally and via social networks! Talking of friends there is one person I'd like to give a special mention to and will refer back to him regularly during this challenge and that's my pal Anthony Durkin. Ant is an old pal of mine from my Army days who is A MAD KEEN runner. He's been giving me loads and loads of advice and has been such a good lad over the last few weeks. He himself has done charity work and has ran marathons and half marathons and is doing extremely well in this. Do me a favour and follow his twitter @therunnerruns. Have a read of his blogs and support him like you support me. I'll talk more about Ant and his support during the training phase. Bulk Powders made up a box of supplements for me which I have started using recently. The products are second to none. Tasty and easily mixed with water. Since I've started using the Pure Whey Protein I've noticed a significant improvement in my strentgh and stamina. 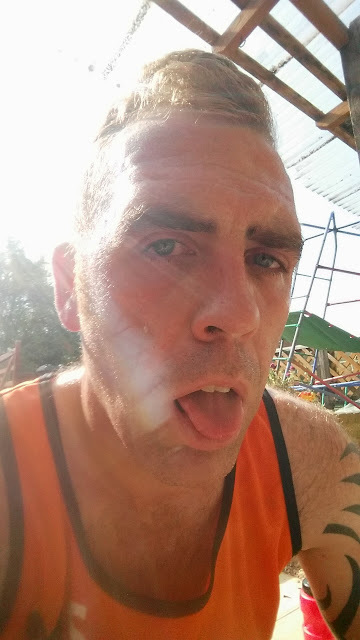 I've improved on both my 5km run by 1 min and my 18km time trail by 3 mins. With more improvements to come. A great supplement and and very approachable. Always willing to and proves were questions and reply to emails quickly. 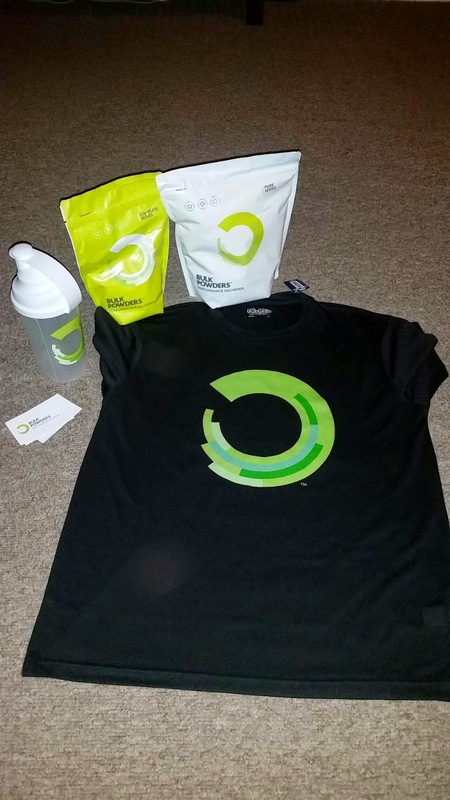 Follow them on twitter for more info and check out #poweredbybulkpowders. High 5 Sports Nutrition have a long association with cycling being sponsors of both Wiggle and Evans Sportive's. 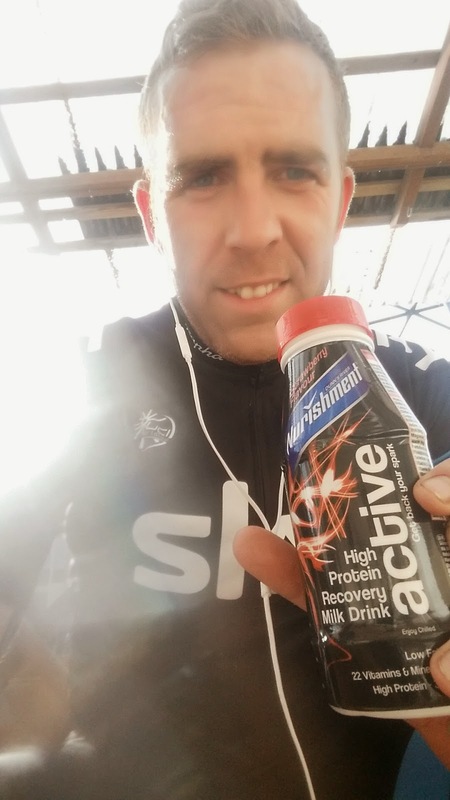 Their energy gels and hydration products are ideal for cycling and running and I use them when out training. You can certainly feel the boost the gels and hydration packs give you during a run or a long ride. They have got me up some nasty climbs whilst training that much is true! I highly recommend them and again very approachable. I'm hoping John-Paul will let me give it a spin once it goes into production. 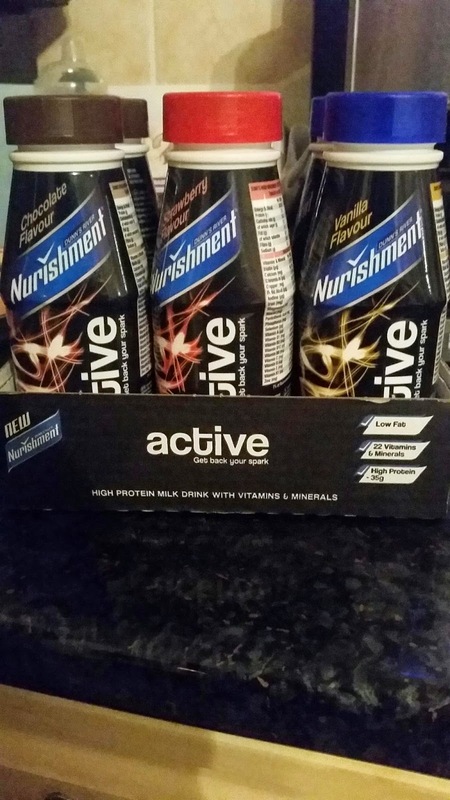 Now I've tried some recovery products during training and recently came across @NurishmentActiv who very kindly sent me samples of their own liquid recovery. Such a great drink. It's like a meal in a bottle and provides so much protein per bottle it's like having a McDonald's Protein Shake. They taste great and I can honestly say I've never felt better after drinking one. Go have a look you won't be disappointed. 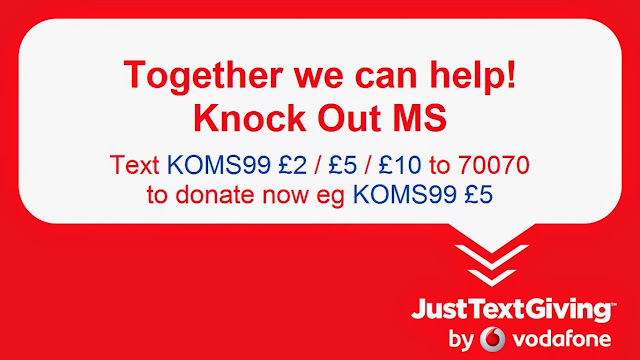 Obviously I can't mention support without talking about the MS Society (@mssocietyuk). I approached them early in the process and they have been there for me whenever I needed something or a question answering. They sent me some gear which I wear with pride and hope to do proud in the future! Such a friendly bunch and always on the end of a phone or email! I'm doing this for them but in fact I couldn't do this without them! Thanks! Lastly the support of those people who you've never even met. Many many folk have followed me on Twitter, re - tweeted my posts and I'd say 90% of them I've never met. But their support is just as important and motivating as support from people you know. I can't thank everyone individually but I can generically. So THANK YOU!!!!!!!! Your all amazing! Your all pushing me on and don't even realise it! Help me hit my targets and I promise with your support I will smash this and prove to the world that anything is possible. Now I'm a little late on the Blog bandwagon so you'll have to excuse the mish mash of posts until.we are up to date. Training actually started about 6-7 weeks ago. 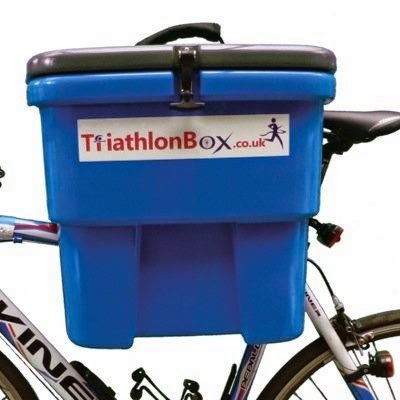 I've never done a triathlon so didn't really know where to look or start but knowing the 3 main elements being swim, bike and run it was obvious what was needed. I already had a 'road bike' of sorts that I'd bought about 13 months ago. It was a basic starter road bike, steel frame, 14 gears - it was essentially a learner bike. I'd been doing a bit of running in an attempt to lose a few pounds and get a bit fitter but not with a specific goal in mind. By no stretch was I ready to even consider taking part in any event. Now swimming, I've always been a good swimmer but not excellent at freestyle. So that needed some work. Over the first few weeks things got a bit out of sync. There was no structure and no real discipline to the training. It was clear I needed a plan and help! So step up our good friend Google. A few keystrokes and I was already to take part in a triathlon training programme. Like everything though it needed tweaking to fit around family, work, life etc. But over time the training became more structured and disciplined and I started to see improvements. I'm not gonna break down each section here I will do an article on each element over the next few days. There are many more updates on training and support to come. I suppose the aim of the article is to let you all know that I've started and it's going well! Please keep an eye open for more updates as they roll out over the next few days. I suppose a good place to start is at the beginning. Firstly this is my first ever blog. I've been doing updates on Twitter and Facebook but decided to plunge deeper into the multi verse and expand my audience. So the beginning. My name is Martyn Seddon. I'm a 32 year old, nearly 33, father of 3. I currently live in the rolling hills of Wiltshire with my wife Georgie and young son Freddie. My other two sons Callum and Finlay also live locally. I served in the Army for 10 years and I'm now a telephone engineer. About 4 years ago I was unfit overweight and desperately out of shape. I could hardly run 100 yards let alone complete a triathlon. So why am I doing it now? Well firstly I've always wanted to complete a triathlon, kinda of a bucket list thing, but was never fit enough or in the right frame of mind to do so. Now I'm ready!! I decided, in my infinite wisdom, not just to complete one triathlon but many triathlons. I also thought, you know what screw it I'm gonna do as many triathlons as I can in a year!! Then another bright idea hit me. You know what im gonna throw in a hand full of road race sportive's too!!! I know, mad! I get it. But to be fair the reason there are so many challenges for me to consider is that it's all for charity! I can't remember exactly when I was told my mum had MS but I do remember I was young and didn't really know what it was or what it meant. All I knew was that my mum was ill and it broke my heart. Over the years my mum's symptoms got worse but she never quit she never gave up and she was always there for me and my sisters. No amount of disabling pain would stop her from ensuring that we had what we needed when we needed it. She is an inspiration to me and a rock solid mother. To this day she still suffers but still carries on regardless. 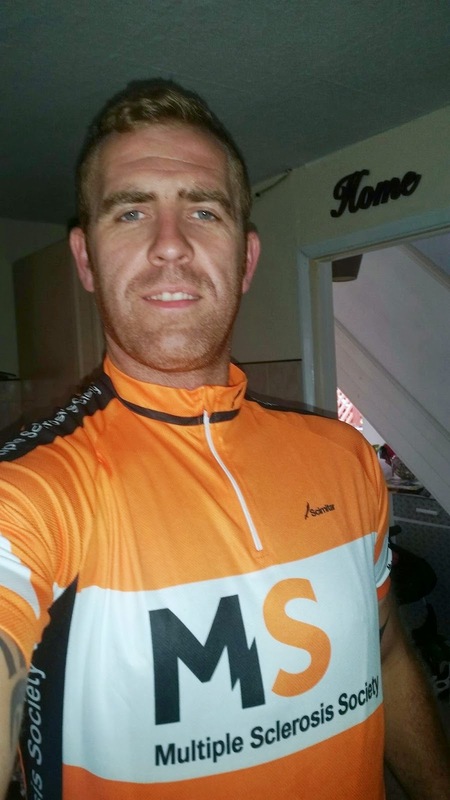 More recently a friend of mine was diagnosed with MS however it never stopped him! He recently took part in the Invictus Games winning Gold for Team GB in the wheelchair rugby. Now if that isn't inspiration I don't know what is. My challenge is over the next 12 months to raise £2000 for the MS Society by taking part and completing as many triathlons, duathlons and road race epic sportive's as possible. The challenge is to then complete the Ride London 100 and the London Triathalon. This blog will be my diary of events and training leading up to each event. This is my story and I'm hoping that you will all get involved and show your support in whatever way you can. You can donate by visiting my Just Giving Page at http://www.justgiving.com/Martyn-Seddon or text KOMS99 followed by your donation to 70070. I will post more blogs over the coming days. This is my introduction to my cause and efforts. I hope you enjoy reading and getting involved.